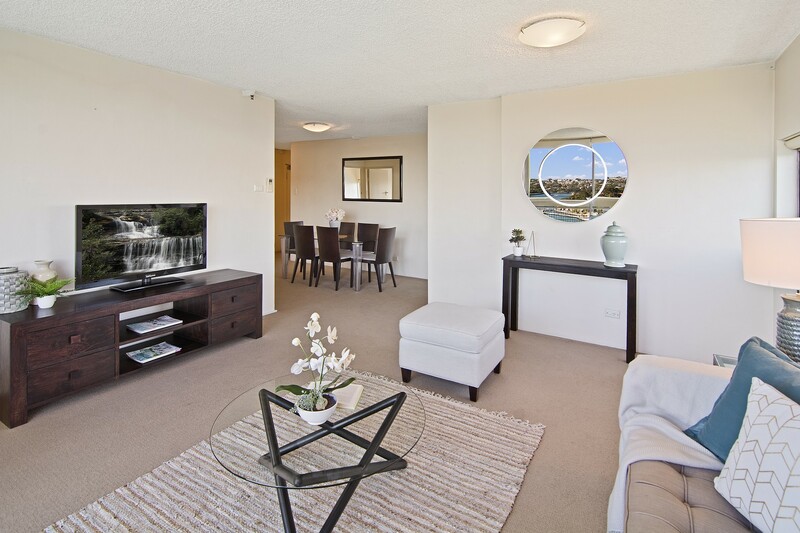 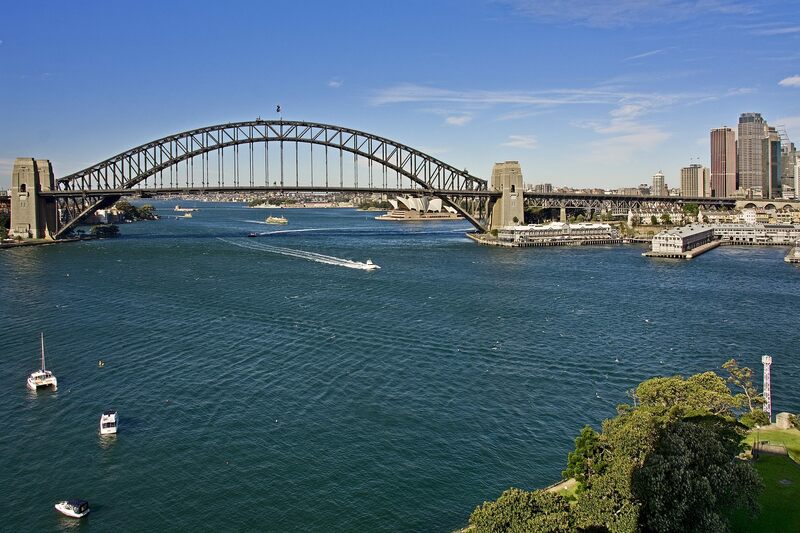 Enjoy fabulous 270 degree panoramic views of Sydney Harbour – the spectacular views are on offer from virtually every room of this modern two bedroom apartment and encompass the Harbour Bridge & Opera House, the city and around to Barangaroo and Darling Harbour. 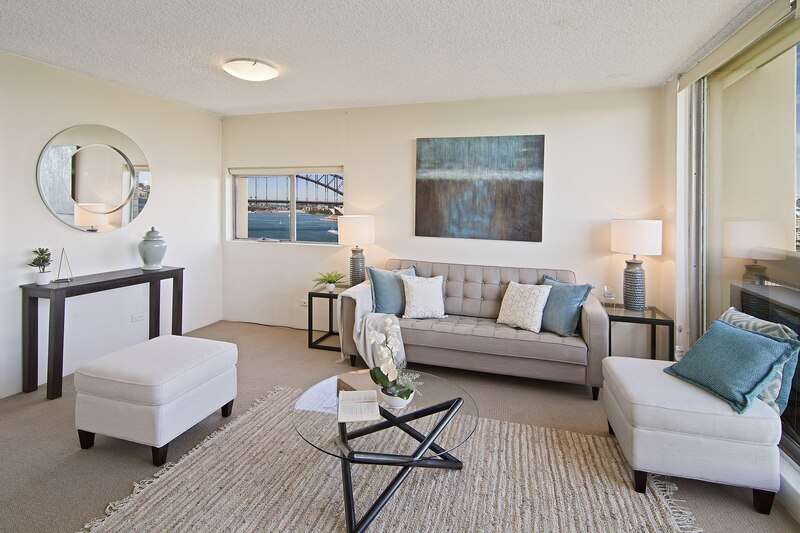 Appealing to executives and downsizers alike a chic and contemporary style was used to highlight the premium lifestyle on offer. 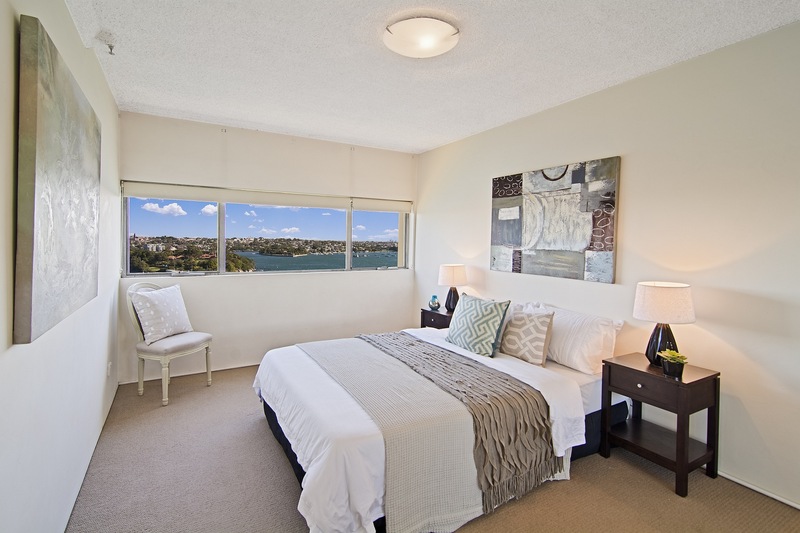 Tonal blue colours to highlight the panoramic harbour views where subtlely placed to bring the outside in. 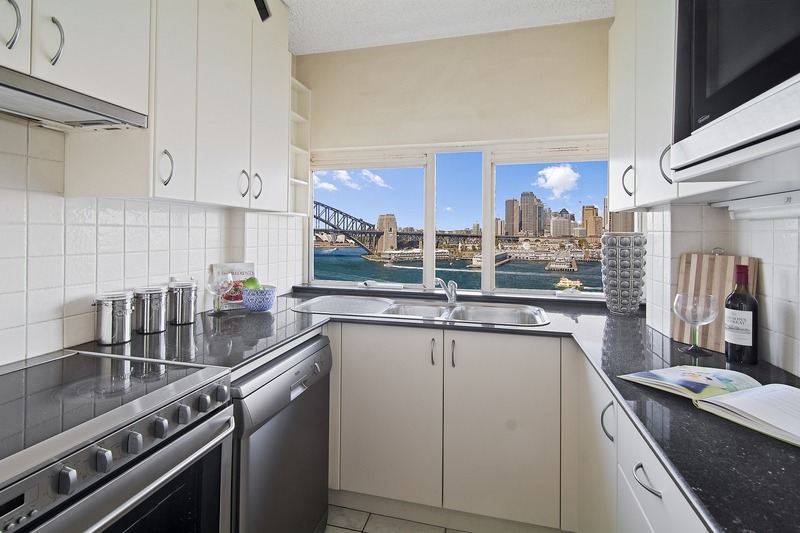 Proudly presented for sale by Craig Litchfield from McMahons Point Real Estate.